VIII, 370 p., 1 ill., 15,7 x 21,5 cm. Translated from the English by Wolfram Wagmuth. Revised by Ruth Cycon and Hermann Erb. 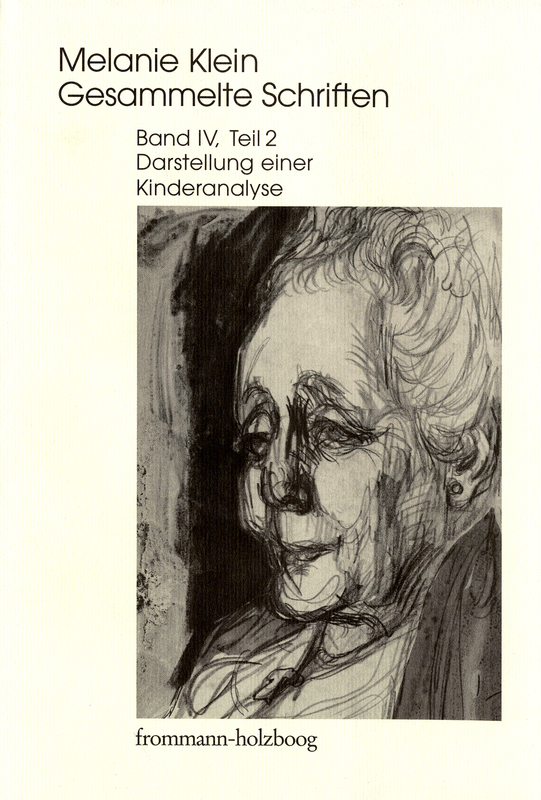 In this continuation of her work entitled ›Die Psychoanalyse des Kindes‹ (The Psychoanalysis of Children), Melanie Klein provides a detailed, animated description of a four-month analysis of a ten-year-old boy. Daily notes made after each hour of treatment show the complete developmental process in this analysis step by step. The statements made by the patient while playing, in his verbal associations and in his accounts of his dreams, supplemented by many drawings which the boy did during treatment, are shown quite plainly and impressively by Melanie Klein, along with analyses of this material and its impact. In the annotations, she comments on the clinical material and connects it to theoretical conclusions. With this work, Melanie Klein has provided guidelines for understanding unconscious mental processes and for treatment techniques to be used in the analysis of children. Mit dem vierten Band liegen die ›Gesammelten Schriften‹ von Melanie Klein nunmehr vollständig vor. Wie die drei ersten wurde auch dieser wieder in der gewohnt sorgfältigen Weise gemeinschaftlich von Ruth Cycon und Hermann Erb herausgegeben. Ihnen, den Übersetzern wie dem Verlag sei gedankt für das großartige Werk, das der wichtigsten Nachfolgerin Sigmund Freuds endlich auch in Deutschland den gebührenden Platz einräumt.